With Nokia’s constant efforts in its feature phone department, here is a brand new addition in the list of apps available for its feature phones. 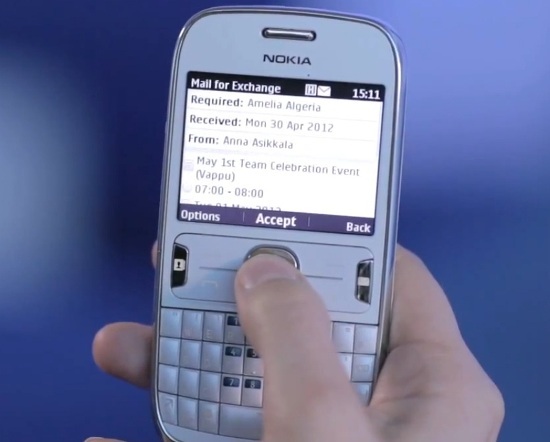 Nokia Mail for Exchange is now available for all the phones in the Asha series. The app is currently in its beta stage and allows you to synchronize your contacts, calendars and emails with your Exchange servers email from your Asha devices. This application is currently localized to English language and further updates will add support for 15 languages. The app is expected to be published on the Nokia Store in the month of June. Till then you can try the beta over at the Nokia Beta Labs here.